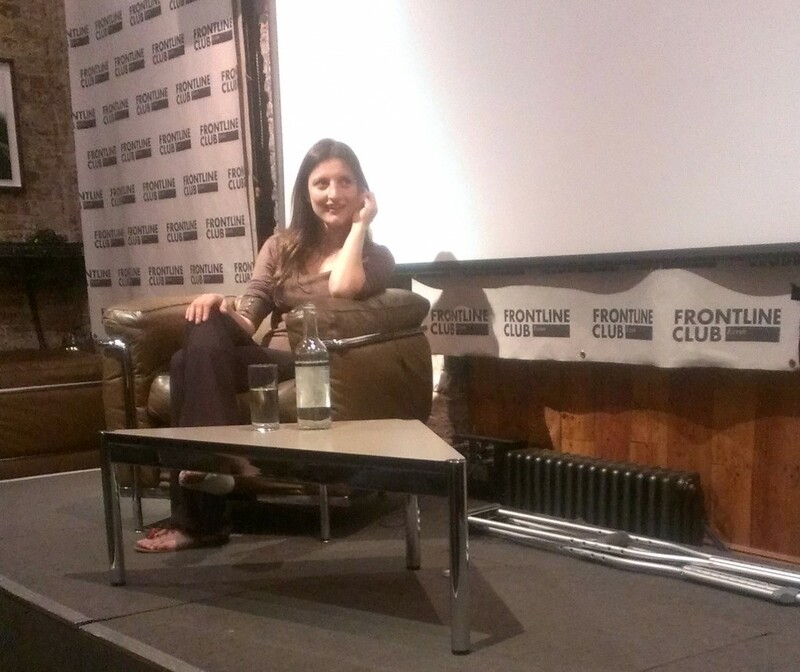 On Tuesday 4 June, The Frontline Club hosted a screening of El Gusto. Despite a 6-hour flight delay and a broken ankle, director Safinez Bousbia made it up to the Frontline Club just in time for a lively Q&A. The film follows Bousbia on her journey to reunite a group of around 30 Jewish and Muslim Chaabi musicians, separated by the Algerian War of Independence (1954-1962). Chaabi, or ‘the people’s music’, is a musical genre that transcended class, religion and ethnicity. It grew out of the Algerian casbah and is a mix of Berber, Andalusian and religious music. The Jewish musicians mostly fled Algeria in the wake of the Algerian War and the remaining Muslim musicians were forced out of the deteriorating casbah, eventually being relocated to different areas. After they were reunited in 2006, El Gusto began performing together again. They continue to tour, worldwide, and are due to start recording their third album this year. Bousbia had initially only planned to arrange for the musicians to play together again one more time; a process which took around three years. After meeting them she became fascinated by what they had gone though and realised that their stories could become a great film. As she could not find any producer who wanted to take on the project, she concluded she would have to make a film herself. As a trained architect turned filmmaker she also became the manager of the El Gusto Orchestra of Algiers in the process. “It was very different with this music, because they don’t write it – they memorise it, which is exceptional. Because if you arrange a whole a concert, it’s like 15 songs…and I was so impressed that they remember everything”. As pointed out by an audience member, there are no women in El Gusto. Bousbia explained that Chaabi music was established in 1920s Algeria, very much as an underground movement. As a result, the only women who were involved with this scene were dancers or prostitutes and the music was played in places where women did not want to be seen. She went on to say that later on, in the 1940s, as Chaabi music became more popular and mainstream, women established their own similar style of music. “I think that the best thing you can offer musicians is the diversity and interactions with different cultures and different musics, and I think that’s what Algerian artists miss the most”. She went on to explain that the current political situation in Algeria means that the musicians are not able to travel much. The government also controls the international visitors, which is affecting the development of art as it is essential for artists to be ‘confronted with what’s happening “out there”‘. 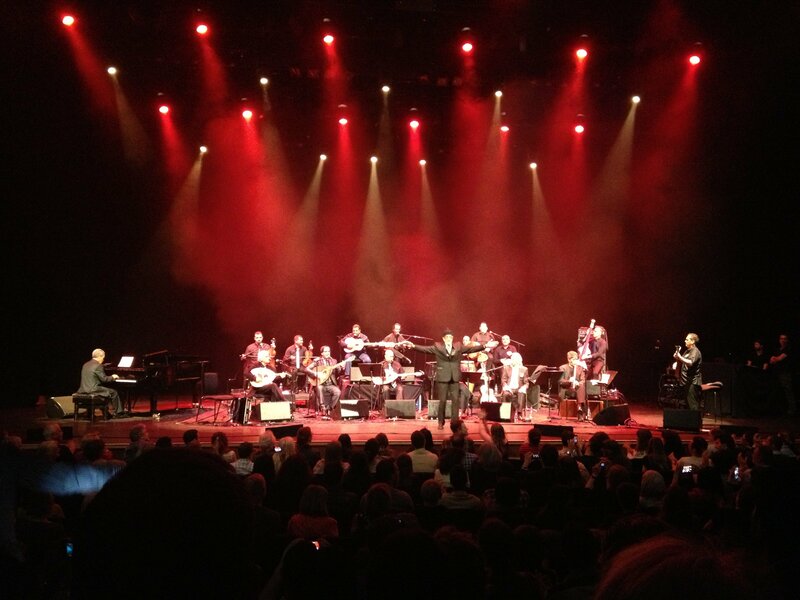 Although the film was received extremely well by the people of Algeria, the El Gusto Orchestra has not received official permission to perform in Algeria yet. Bousbia also encountered several challenges with the authorities over gaining permission to film the documentary. Since its release El Gusto has been shown in film festivals all over the world, with the next screening in Egypt on Thursday 6 June. Safinez Bousbia will continue to accompany El Gusto and help them to prepare their third album, before starting work on her next film. Up to date information on upcoming screenings and concerts can be found on the official website of both the film and the band.